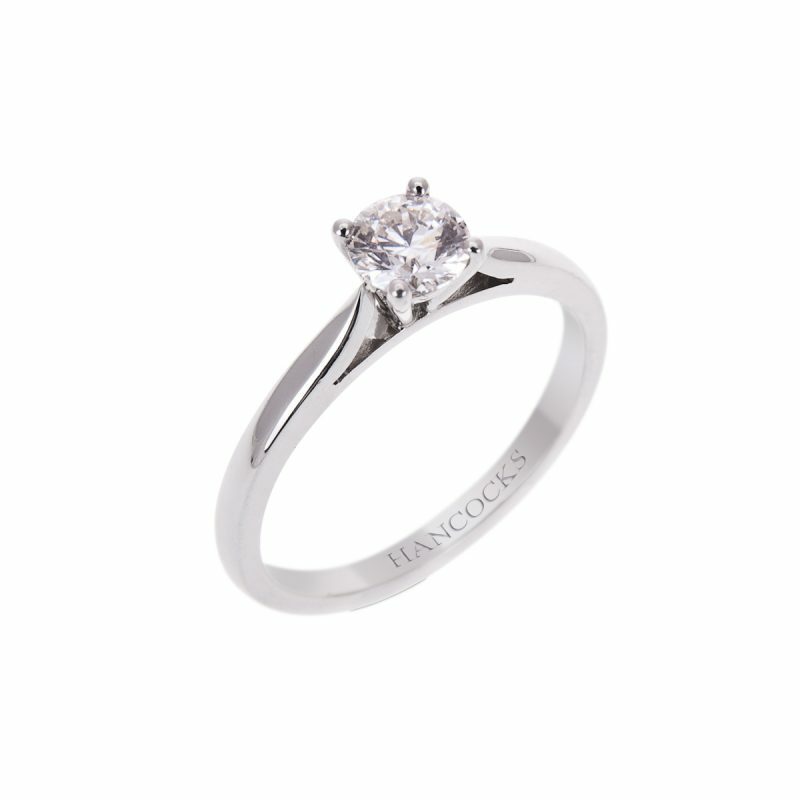 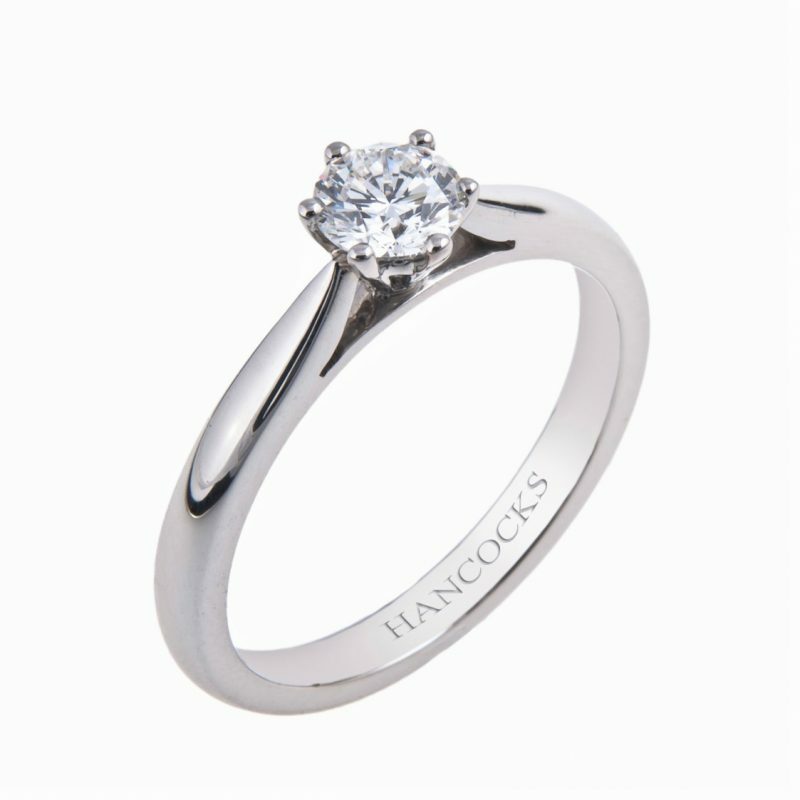 A stunning single stone brilliant cut diamond engagement ring. 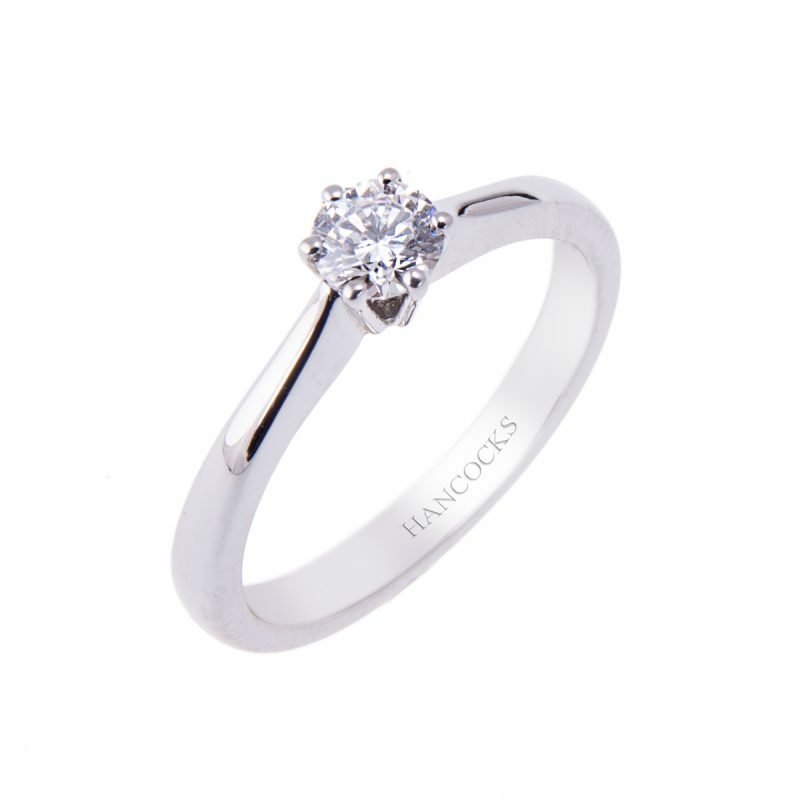 The six claw setting enhances the round shape of each stone whilst allowing the diamond to exhibit the maximum brilliance and sparkle from this rare white colour stone. 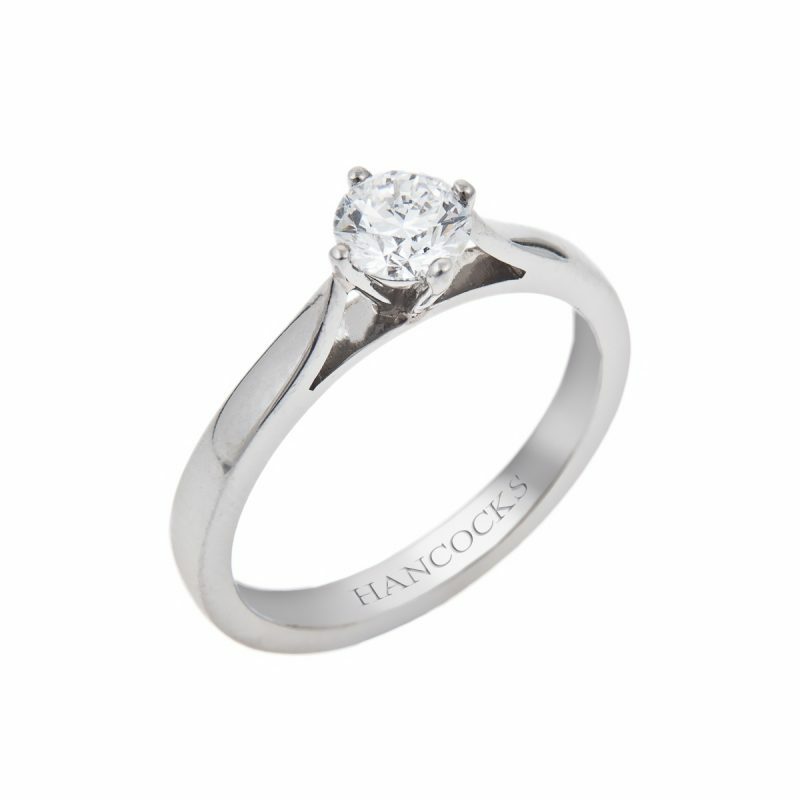 This classic yet timeless design in platinum creates a spectacular look which you’ll adore forever and will fit beautifully next to any wedding ring you choose.